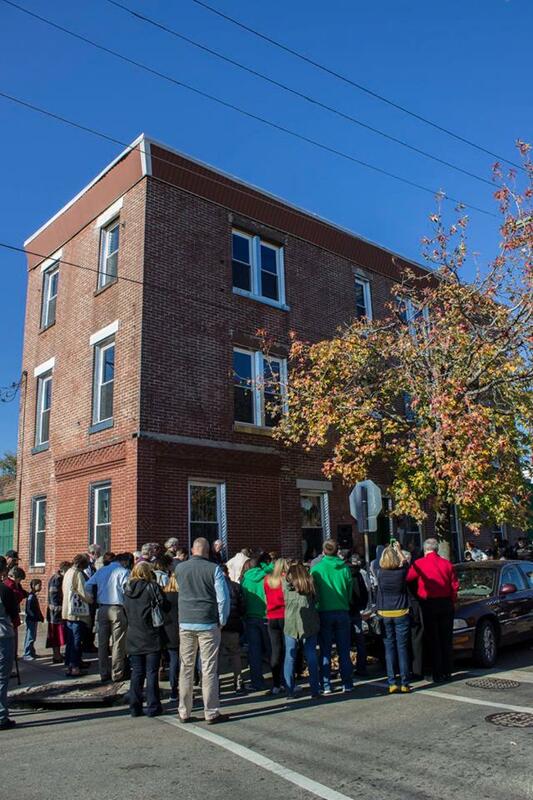 This past Sunday, the Balmer Building was dedicated to the Lord as a ministry site at the Urban Hope Training Center in Philadelphia. Over the past year, the complete transformation of the building at the corner of A and Tioga Streets was accomplished. This facility will be used for housing the Grace College students majoring in urban ministry (SUM) who serve a nine month internship at Urban Hope for their senior year. The site also serves as housing for ministry teams and has meeting rooms may be used by the Urban Hope Community Church. 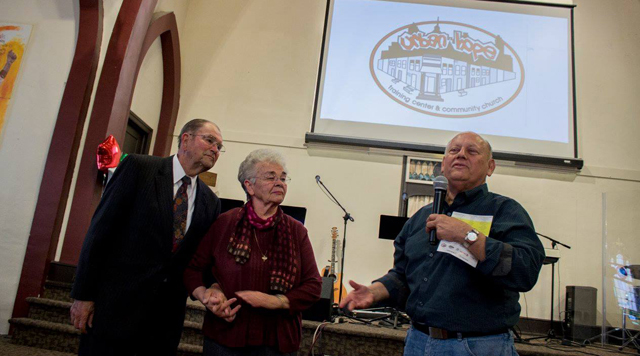 The presentation of a bronze plaque of Ken and Ruth Balmer. Sharing from Dr. Bill Katip, president of Grace College and Seminary in Winona Lake, Ind. A spiritual challenge by Ed Lewis, CE National executive director. There were salvation decisions and re-dedication decisions too! The prayer of dedication led by the new CE National board of directors president (and former UHTC director) Jon Rauch. The entire morning was capped off with a wonderful Puerto Rican dinner! We praise the Lord for the completion of this project that will be used to train more individuals in what it means to live ON MISSION for the glory of the Lord!